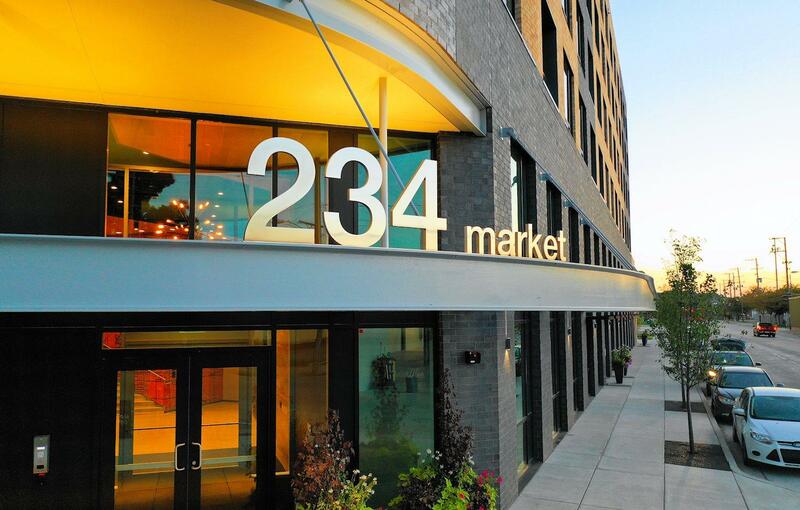 234 Market’s Live/Work Space provide the ultimate in efficiency and work-life balance. 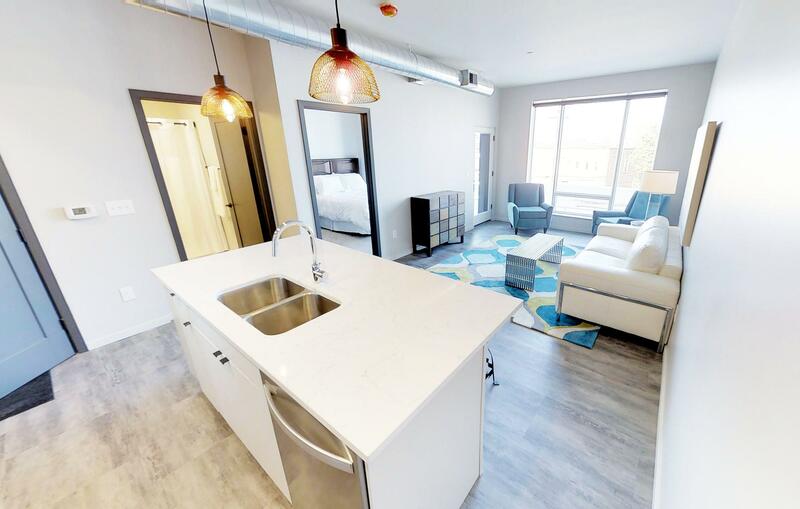 The open concept main level offers a customizable environment to optimize your office/studio/retail needs. 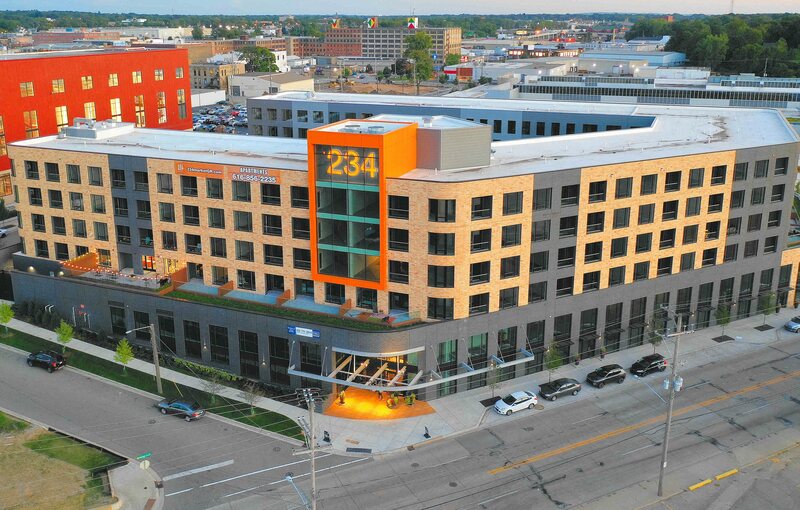 The attached parking deck, in suite restroom, and main street entry, allow complete versatility and customer convenience. 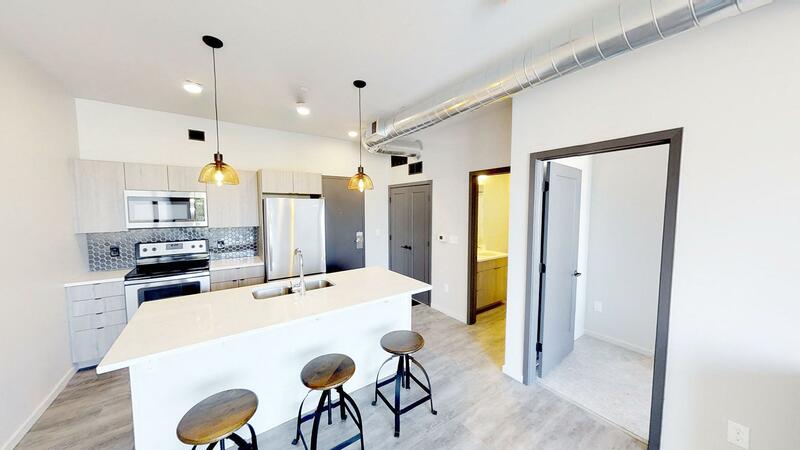 Your second and third level living areas offer a modern, well-designed apartment home conveniently located in the heart of downtown Grand Rapids. 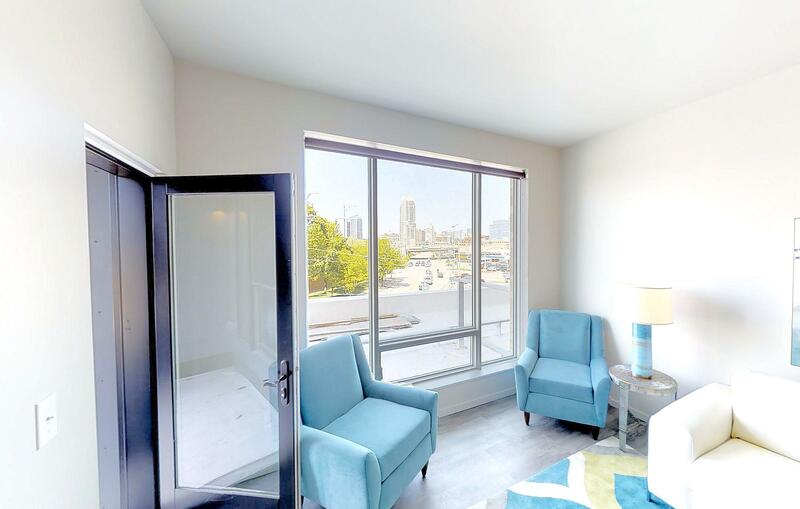 High-end finishes, stainless steel appliances, expansive windows, full sized washer/dryer, and an outdoor patio space complete this unique and highly functional 2-bedroom, 1-bathroom, and 2-half baths space. 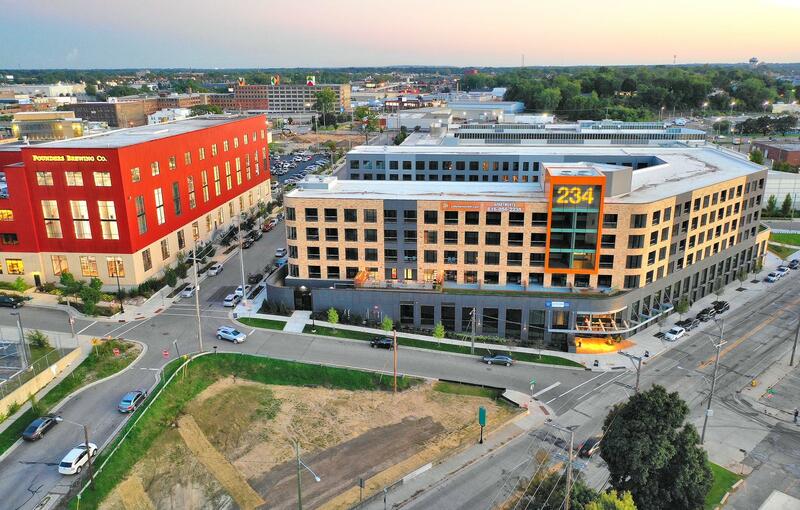 The 234 Market Community combines location, luxury and functionality to put you a step ahead in maximizing your potential.